Any Makati City resident or employee is familiar with the Jolli Jeep, or the stalls that line the streets of Makati, serving home-style meals. 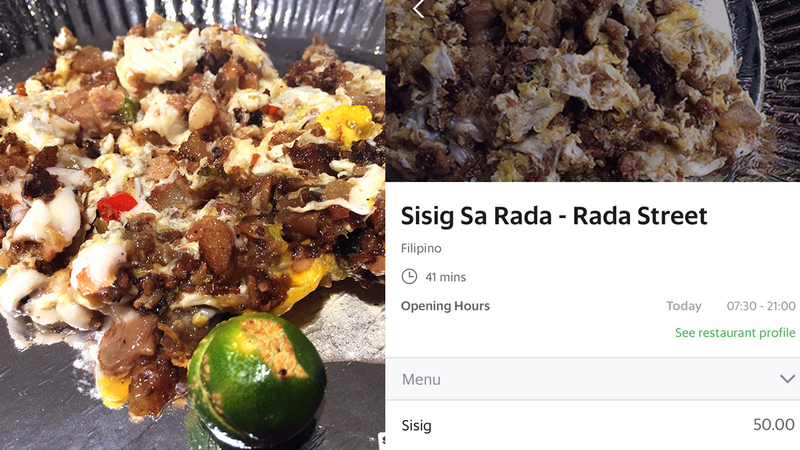 And one of the most popular ones is arguably Sisig sa Rada. 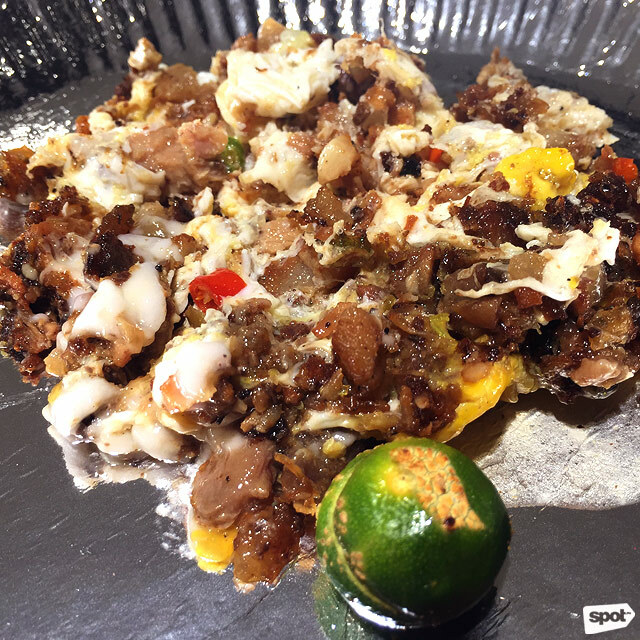 Walk around during lunchtime and you'll probably see lots of people with plastic bags of pork sisig and scrambled egg, the bag steaming up a bit from the heat. 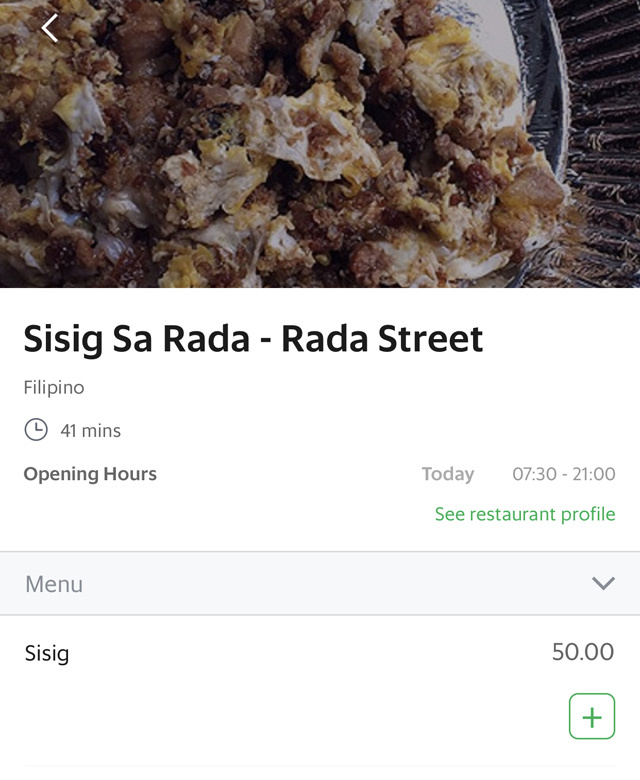 Their sisig is always worth enduring the long line, but if you're in a rush or can't get out of your office cubicle for that quick bite, here's some good news: Sisig Sa Rada is now available for delivery through GrabFood.